Ivo is passionate about health and fitness and started studying a Bachelor’s Degree in Exercise & Sport Science in Brazil back in 2000. After graduating and beginning to work in the Health & Wellness industry, he did a Graduate Diploma majoring in Strength and Resistance Training. Since then, Ivo has done many courses and professional development work on exercise prescription for chronic conditions and special populations. After successfully running his business for few years and having a great experience as a Exercise Science lecturer at the Catholic University of Brazil, he decided to explore a new life and move overseas to Australia. Here, Ivo achieved his aspirations being able to accredit his tertiary education within Exercise and Sport Science Australia, alongside with the completion of a Masters of Clinical Exercise Physiology at the Australian Catholic University in 2017. As an Accredited Exercise Physiologist, Ivo is strongly motivated to work alongside people with a variety of complications, requiring an in-depth understanding about the pathophysiology of their conditions, its management and safe exercise prescription/delivery, as well as remaining as passionate as ever to deliver personal training sessions with a high level of quality and efficiency. 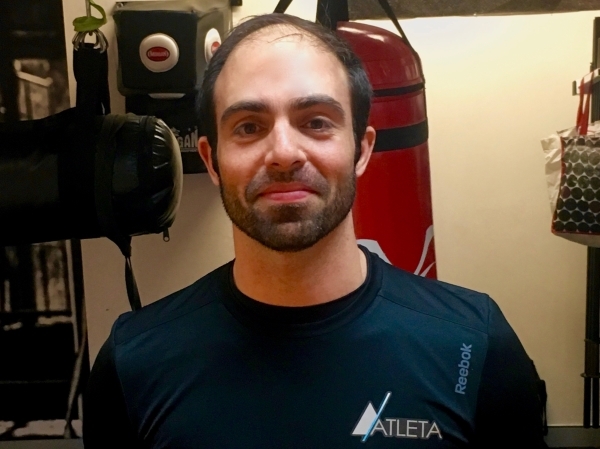 Working in the Health & Wellness industry for over 11 years, Ivo Cortes found himself to be passionate about helping clients to achieve goals pertaining to health and improvements to their quality of life. Through Ivo’s work as a Personal Trainer at Fitness First in the Sydney CBD – he has engaged with a wide variety of clientele, and shows a keen interest in all areas of health and wellness, from functional training, postural and injury rehabilitation and training to improve athletic and sports specific performance. Ivo is aware of the magnitude and importance of community engagement within his role in the industry. This is essential to connect to ATLETA’s mission to positively impact the community through exercise, mindset and health based principles, which is our contribution to enhancing the common good of society. With his wide scope of professional experience and high level of qualifications Ivo is the ideal health professional to help you actualise your health and fitness goals.